I am not a blogger. Well, I suppose now I am now. I never thought I would venture into the realm of blogdom, I was afraid it would become more a blahg than a blog, but it matters not what I once thought because here I am. Blogging. I am a blogger. I’ve always been a writer, I’ve never been much of a sharer though. Most of my writing was kept hidden away in journals and notebooks, tucked safely away where no one could see them but me. I attained Internet access for the first time in 1997, one of the first things I found was an AOL site called the Amazing Instant Novelist. I was in word geek heaven. Before long, I was asked to join the ranks as a community leader, I went from Qwietpleez to NOVLqwiet and got comfortable. I was able to write, read, critique, and mentor any time, day or night, and I relished my cozy little niche there until the site closed down a few years later. I still miss it. I ran my own writing group for a spell on CafeMom, at the time I was an admin for a large Autism support group also based at CafeMom, my writing took second place to the needs of the Autism group, that was where my heart needed to be. 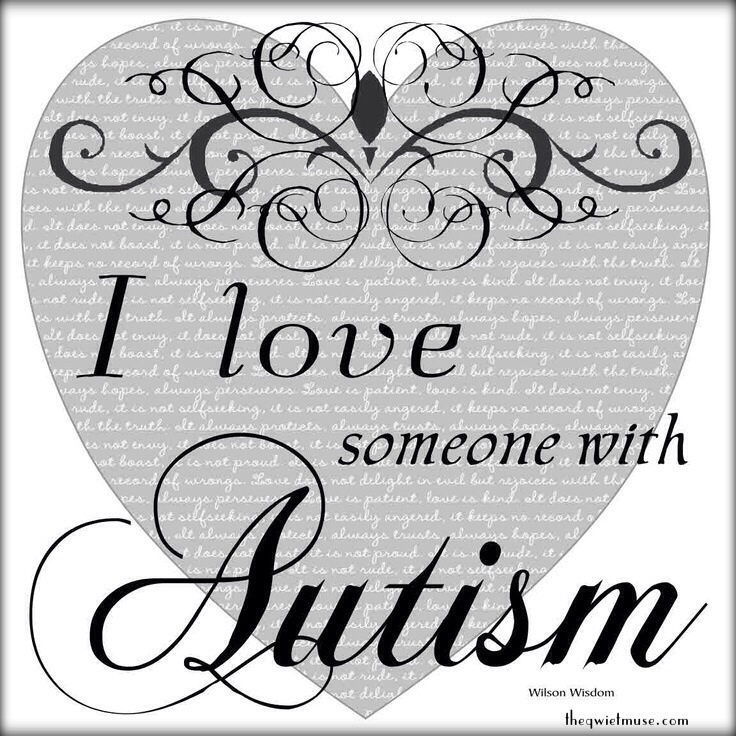 I have four absolutely amazing children, my oldest boys, now 24 and 27 are autistic. The younger of the two is Bipolar as well. My daughter is now a Mrs., and my baby is 19. Over the past few years I neglected my writing. I wrote articles on health and beauty, parenting, and other such things to share with the world. I don’t think I truly considered that writing though, I was risking nothing by accepting measly assignments with limited word counts, one day I realized I was gaining nothing as well. So, here I am. Nice to meet you. 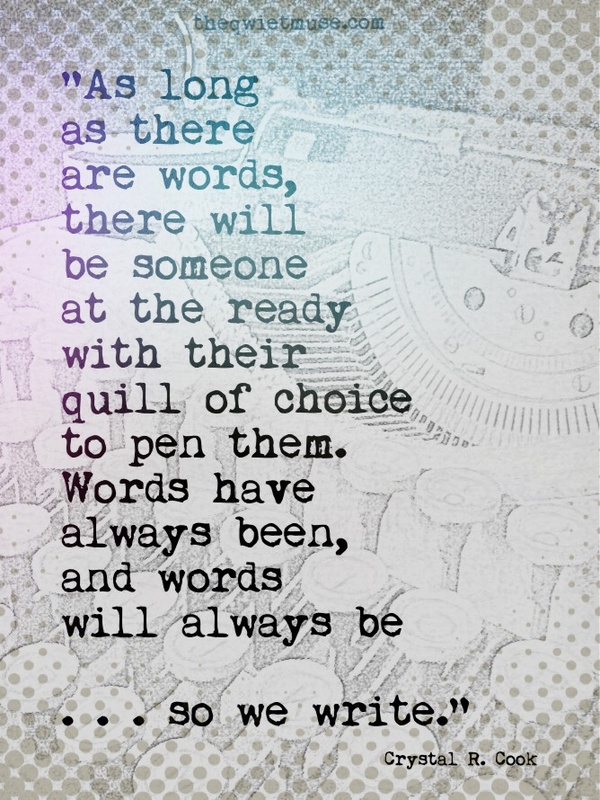 I am probably over sharing and rambling, I sometimes do that, once I start writing I tend to keep writing. I don’t know how to keep things short and sweet, which was often my problem with writing for various online sources, there is only so much you can do with a 300 to 500 word count limit. The basics – I married my high school sweetheart, we have four kids, three dogs, a snake and a tarantula. I deal with the daily ups and downs of diabetes and fibromyalgia. I fall somewhere on the spectrum myself, life in our home is never dull . . . or quiet. My daughter married and moved on, the boys, or I suppose I should say men, are still home. Our kids still call us Mommy and Daddy, we call each other Mommy and Daddy, it’s awkward in public when there aren’t little kids around, but it’s what we’re used to. My mom is my best friend, I love the Lord with all of my heart, I can get overwhelmed and crazy sometimes, I have a rather warped sense of humor, I like to call myself misanthropic but I don’t really hate people, I just don’t care much for the majority of them. I write about life, love, faith and autism. Slice of life kind of stuff. My dream was to write for children but I kind of sucked at it. I’m open, honest and politely opinionated. I drink too much coffee, I have tattoos and I am a strong supporter of the Oxford Comma. Oh, I tend to overuse commas at times. I do not believe in hashtags, they are called octothorpes, I love ampersands, reading, and sleeping. I hoard books and journals and pens, but I can never find anything to write with. Alright, enough. If you’ve read this far, I thank you. I do hope you decide to stay for a while and read a bit, come back often, follow, like – I’m still trying to figure it all out . . .
Visit Crystal Cook’s profile on Pinterest. You can find me on Facebook too . . . So happy you liked one of my posts because it gave me the opportunity to meet you. I love your about page and it’s great to meet you. Crystal, I feel like I already know you and am following your blog as of today! You sound like one cool lady! Can’t wait to read more of your writing. Thanks for your follow of my blog! 🙂 Joanne. I’m delighted to meet you–LOVE that you Love the Lord (me too!! ), and that you say you over-share and ramble (oh yeah, me too); plus the whole “people-ing” thing I already mentioned–I think that’s why folks like us are attracted to blogging, it’s less threatening most days 🙂 May you and your family be blessed to overflowing with the Lord’s grace and favor!! Thank you! I am happy you stopped to say hello! Blogging has opened my world so much, I can people with other people who don’t people well 🙂 God is GOOD and I pray He blesses you abundantly! Lovely to meet you! I am so pleased I am not the only one out there who drinks way too much coffee and hoards too many books!! Looking forward to reading your posts! Have a lovely day. So very nice to *meet* you! I’m looking forward to exploring more of your words as well . . . My personal punctuation propensity has been to commandeer the ellipses, using and (some may say abuse it) at my whim 🙂 Explanation points have a way of making people smile, !!!! Thank you so much! An amazing writer you are 🙂 Am happy and very grateful that we share the Muse! What I’m thinking: I’m so happy to meet you, Crystal! Thanks for the visits and the follow. I just returned the follow–with great delight, and interest in learning more about your journey! Thank you for recently visiting my blog. It is good to meet you here. I am also a Christian with a strong faith, a mother of two grown girls and grandmother to four grandkids. Although I have not faced the kind of challenges you have had raising boys with autism. I know that it takes a strong faith today to raise children in any situation and environment in this world today. God bless you in your Christian journey. When we stay faithful God rewards us and blesses us beyond our expectations. The best to you in your writing, as well. Well this is a lovely surprise 🙂 Thank you so very kindly! Thank you 🙂 Such a sweet thing to find upon my return from my self imposed removal from the world, as much as I could remove myself, that is . . . You’ve made my heart smile! So glad to meet you via https://anewperspectiveperhaps.wordpress.com/2015/03/13/the-power-of-words-award/comment-page-1/#comment-5189 Crystal! Oh, my, we share things in common to include 4 children/adults who keep us sharp 😀 I look forward to reading more from you. Crystal, so glad to have connected with you this week! And…I just followed you on Bloglovin’ I think. Seems I’m your first follower there? Cool. I am thankful as well 😉 now I have to figure out what Bloglovin is! I had no idea I had something going on there! I feel like I a, back in high school lately trying to learn all this new stuff!! From this, and just starting to get to know you through your feels and words and heart and faith and history you shared here.. I am heart-struck with your candor and your beauty. I am THRILLED to connect with you, Crystal. You are a treasure buried deep beneath this blahg world and I for one am blessed to find you. Your words are a treasure in my heart, thank you . . . So very much. This blog has brought new people into my life I am so much more than thankful for. Until this last year, aside from my family, old friends, and my autism support mommas, I rarely shared or put myself *out there*; my world was big enough and full enough, or so I thought. I am glad I realized there was room enough for more 😃 Here’s to more . . . I am blessed you became a part of my world. I’m Tokoni i’m a student and poet. Its nice to meet you i would like to invite you to my blog, http://www.insanitybeautiful.wordpress.com if you’re interested. Thanks! Your blog is inspiring and very uplifting. You are amazing too for all that you have done for your children and to help others. Lovely to meet you Crystal. I am very drawn to the strong sense of family love I get from this introduction of yours. I look forward to reading more. have nominated you for Dardos award – http://sayadpoet.wordpress.com/2014/09/25/premio-dardos-my-first-award/ 🙂 hope you like the surprise. I stumbled upon your delightful blog while searching for a graphic for the idea, “blissfully uninformed”. The graphic on your Parade of Fools blog page came up and I liked it. It was perfect for my FB Post. However, I truly hate to use other peoples’ graphics, as I don’t want to break the rules of copyright. But your graphic was too good to pass up. Thus, I begrudgingly went to the source, your blog post, to read what came with the graphic. To my surprise and amusement, the prose was just perfect, so I decided to link to that particular blog page with a cheesy disclaimer that I was not endorsing the whole blog site, only the “fools” post. I felt that I should at least check out your blog so I could defend my hasty posting of the the graphic and prose, so I read what you wrote about yourself, and I found a friend. Fancy that. Now, I am sorting through all of the posts to see if we are, in fact, soul mates, and I am beginning to believe we are. My very favorite word in all the world is “serendipity”. That’s what this was: a serendipity. Thank you for your writing and especially for the “fools” post. I look forward to following your blog. I am so happy you found my musings :o) I fell in love with that graphic for some reason, I knew I had to use it. I too looked for a source, but I tend to hoard graphics I like and forget where I first found them. I toyed with it a bit, if I ever do find it’s origin I will certainly include it. It sounds like we must have much in common else you wouldn’t have taken the time, I often think one of the best ways to truly know someone is through the words they share. I share them all, I cannot help it. The good, the bad. What you read is who I am. I’m happy you found your way to my little corner of cyberspace . . . So what if you went over the limit of 500. We can get carried away sometime. And welcome to WordPress. You will like it here. It’s a good place to write. Much appreciated :o) I am so glad I made the decision to begin this blog, these lovely snippets of encouragement have helped me remember my words are worthy to share . . .
Perhaps we should start one, it would likely be a huge success :o) We don’t want a cure, we just want to be left alone to our hoarding! Haha! Steal really good pens :o) I think it sounds splendid . . .
Just letting you know I nominated you for the One Lovely Blog Award. No pressure at all to pass it on but hope it encourages you. Thanks for blogging and keep it up! Thank you :o) Such a sweet compliment, it means more than you may realize. When I read this I was having one of those moments, the kind you doubt yourself and wonder why you bothered to put yourself out there. Thanks to you and another unexpected gift coinciding with your kind words I found my footing. I’ll be posting more later, I just want you to know you helped me through a rough day and I am grateful . . .
Just checking in because I’m looking to get the book done by July and have been putting it together. So in the final stages now and need to know if I can include your words or not. If I don’t hear from you by July, I won’t be able to include your words. I can use the name Crystal R. Cook and just need a country, then I can put your words together from blog posts for you to check if it’s okay for me to include. Thank-you so much. I’ve put many of your words in the book from those three posts I commented on. I’m so glad to include you. Will keep you updated.